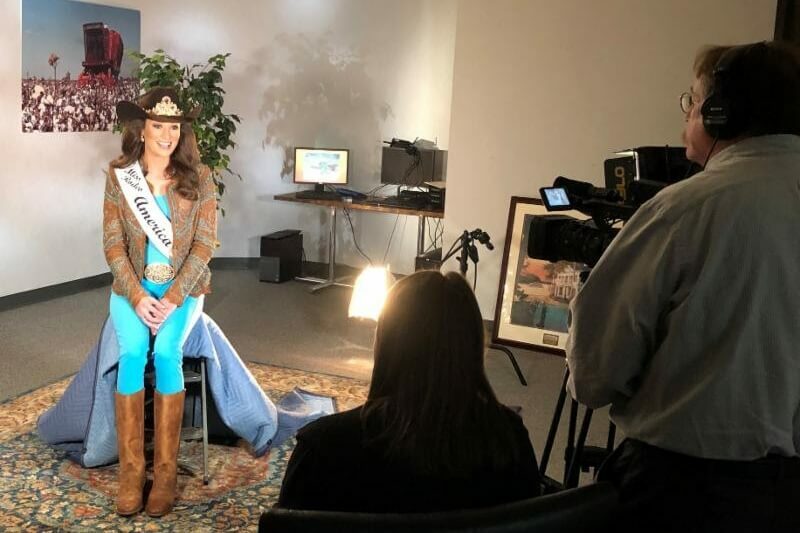 The Mississippi Farm Bureau Federation allowed me to be a guest on their show, “Voices of Agriculture.” The episode is set to air February 16th on RFDTV. 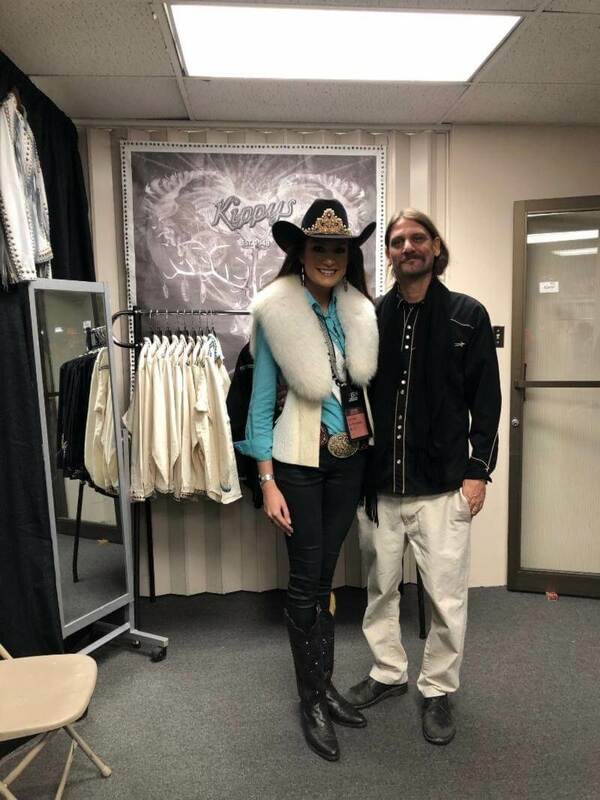 Denver Market would not be complete without a visit from Justin's Darla Fisher. 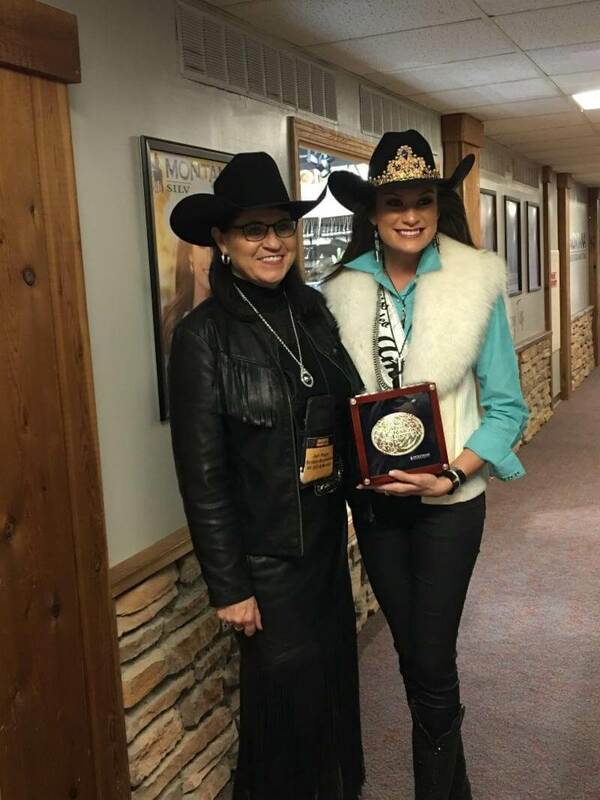 I had the absolute best 16 days in January at the National Western Stock Show! 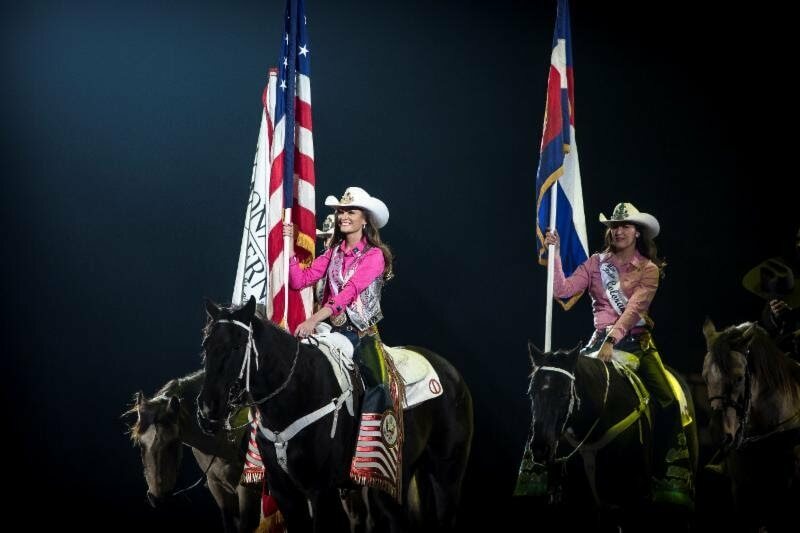 During the opening of each rodeo performance, I was granted the honor of presenting the American flag. 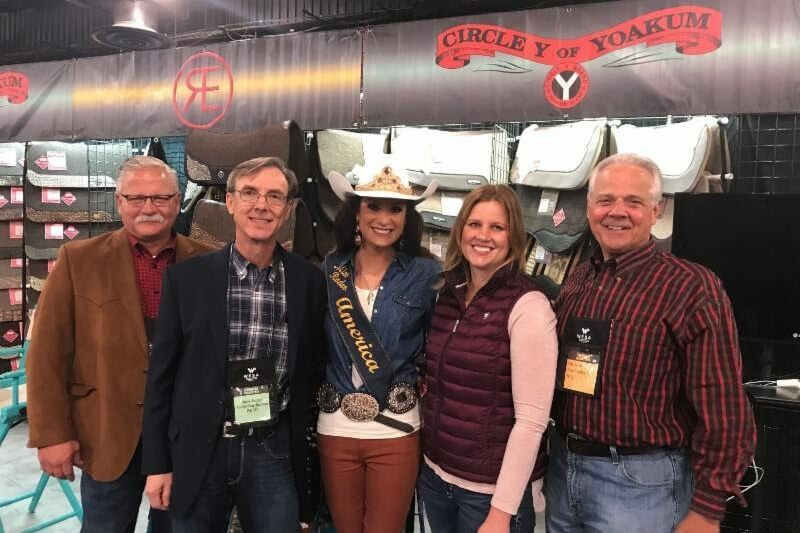 ﻿Taylor McNair visits with the Circle Y/Reinsman family at the Denver Market. 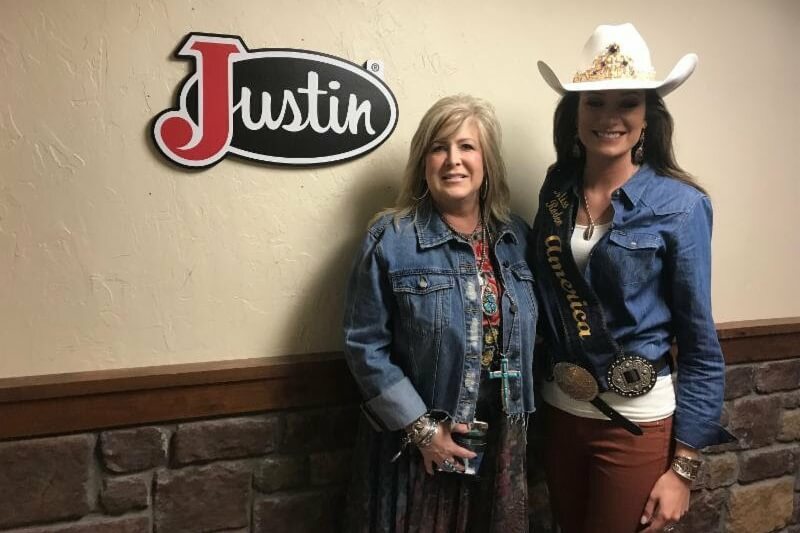 ﻿Montana Silversmiths Judy Wagner presents Miss Rodeo America 2019 Taylor McNair her official buckle. A visit to Kippys - an absolute must for the discerning Rodeo Queen! The stars were out for the WESA Wrangler Party. 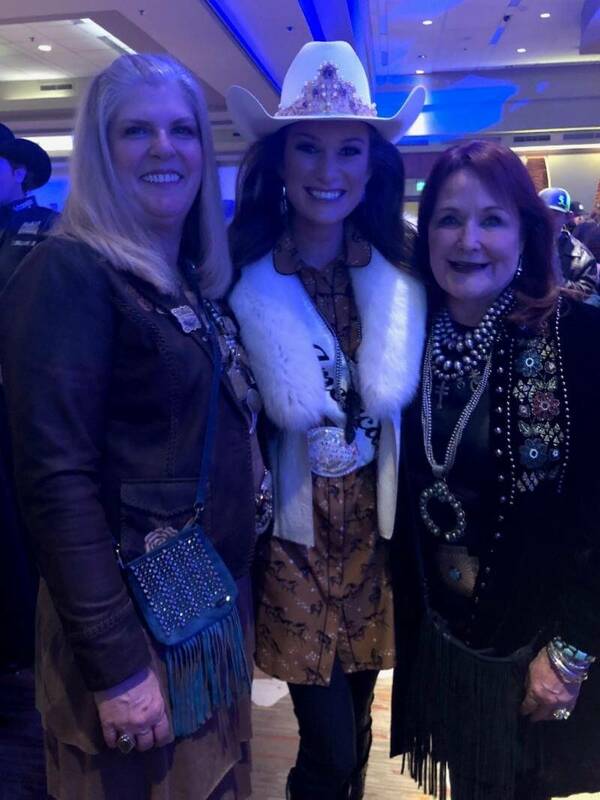 Nyla Bristow, National Director Miss Rodeo Colorado, Taylor McNair, Miss Rodeo America 2019 and Kiki Shumway, President Miss Rodeo America.